After all native desert bighorn sheep were eliminated from Texas, conservationists began the long fight for their return. 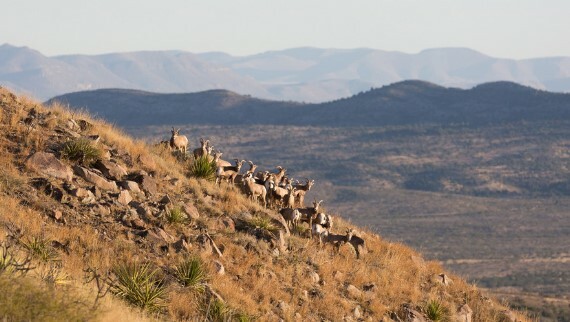 RETURN OF THE TEXAS BIGHORN follows wildlife biologists as they capture, collar, and relocate desert bighorn to restore a healthy population to West Texas. Decades ago, poachers would set off explosives in the cool waters of the North Umpqua River, killing steelhead by the dozens. That was before Lee Spencer settled in to watch over and protect the wild steelhead. At a time when environmental protections are being lifted and scientific research budgets slashed, one man's study of the world in front of him is a throwback to conservation work, rooted in bearing witness to simple truths in nature. Q&A with the filmmakers of The Return and Climb-It Change to follow the 04/16 screening! Q&A with the filmmakers of Climb-It Change and Cowboys & Scientists to follow the 04/18 screening!